About Commercial Ready Mix Products, Inc. – Commercial Ready Mix Products, Inc.
About Commercial Ready Mix Products, Inc. Originating in northeastern North Carolina in 1975, Commercial Ready Mix Products, Inc. reaches into the metropolitan Tidewater area of Virginia, including Norfolk, Portsmouth, Virginia Beach, Chesapeake, Suffolk, and the outer banks of North Carolina. The business employs over 170 people from throughout northeastern, and the Outer Banks of North Carolina, and southeastern Virginia. 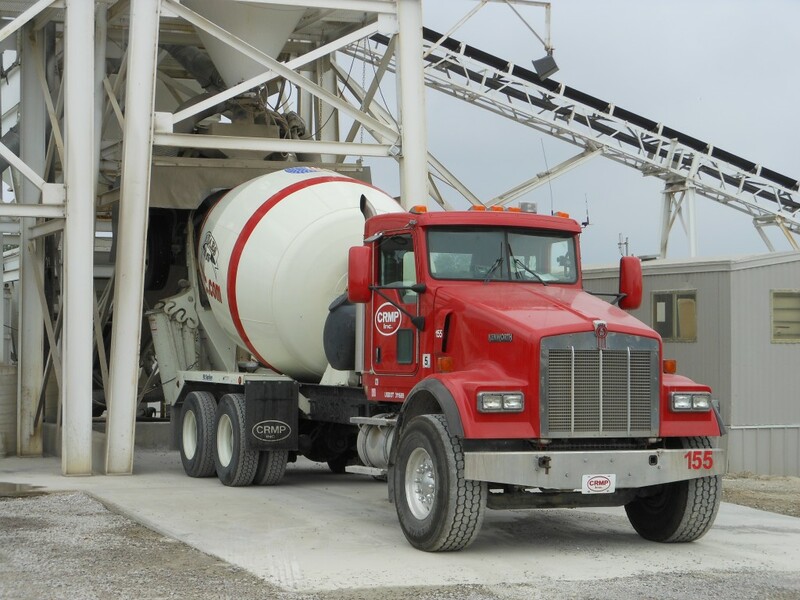 Ready Mix concrete production is CRMP, Inc.’s main line of business. The company also operates a sand and gravel operation with a fleet of quad-axle dump trucks and tractor-trailer hauling units. As a family owned business, Bob and Jane Newsome’s venture began with only a small batch plant and two mixer trucks. Many times the same men who delivered the concrete during the day repaired and maintained the trucks at night. The first concrete plant was located in the small hometown of Cofield, North Carolina, which also included the company headquarters. In March, 2003, the corporate office moved into a modern and spacious facility featuring tilt walls, stamped concrete and exposed surfaces. It is located just west of Winton, NC on US Hwy. 158. Since their beginning in 1975, the Newsome family has guided the company in a pattern of increased growth. Currently, there are ten stationary concrete plants in operation and four portable batch plants, with a fleet of 80 mixer trucks, all within a 110 mile radius. CRMP Inc.’s concrete is used in all types of jobs and applications; commercial, residential, and industrial. Operations are supported by multiple maintenance units, which complete repairs, overhauls, and upgrades on the company’s trucks, equipment, and plants. Also, the Truck Haul Division transports the raw materials used within the company and makes sand, topsoil, mortar sand, crushed concrete, and stone deliveries to customers. CRMP’s Sand and Gravel operation provides high quality raw materials that are NCDOT and VDOT certified. In 1999, CRMP, Inc. focused on centralizing operations in its Virginia marketplace. So, in September, a centralized dispatch office was opened in Suffolk, responsible for taking all orders for the area. Centralized dispatch has proven successful. The company is proud of its customer service. A dedicated dispatch team works diligently to provide on time orders, while best utilizing the company’s fleet of trucks. The most recent additions to the North Carolina market are plants in Moyock and Nags Head, both opened in 2014. Along with the company’s Elizabeth City plant located next to the Vulcan Materials yard on Knobbs Creek Drive, CRMP, Inc. has positioned itself to supply concrete to meet the anticipated growth in and around the Elizabeth City, Camden, Currituck, and entire Outer Banks area. The Elizabeth City facility office is constructed of insulated concrete forms or ICFs, where concrete is poured into foam-insulated forms to create the walls, thereby replacing the normal wooden studs. The Nags Head facility includes its own stationary and mobile maintenance units, and a fleet of mixer trucks capable of servicing the specific needs of the Outer Banks area. In 2002, CRMP, Inc. began a new chapter in its history with a portable plant onsite at a Wal-Mart distribution center project near Charlottesville, Virginia. Since then, the company completed a similar facility for Wal-Mart near Dover, Delaware, and provided onsite concrete for a Sterilite distribution center in Clinton, South Carolina. The production total for the three distribution centers exceeded 150,000 cubic yards. Upon completion of these projects, portable operations moved to Portsmouth, Virginia to provide onsite concrete for the APM Marine Container Terminal. CRMP, Inc.’s next more notable portable endeavours included the Dominion Blvd. Improvements in Chesapeake which included road widening and a new bridge crossing the Elizabeth River, and the Dominion Power Brunswick County Power Station near Freeman, VA. Combined these projects pushed close to the 150,000 cubic yard mark as well. CRMP, Inc. welcomes the opportunity for more exciting growth and expansion. The Newsomes, Bob, Tim, and Jane, along with General Manager Charles Harrell and their support staff, are poised to lead the company into new and challenging projects. The commitment to retain the best personnel, to invest in the latest technology and modern equipment and rolling stock, and to provide excellent customer service is the basis of the company philosophy; a philosophy that will remain the foundation for the CRMP, Inc.’s future as it moves forward in the ready mix industry.